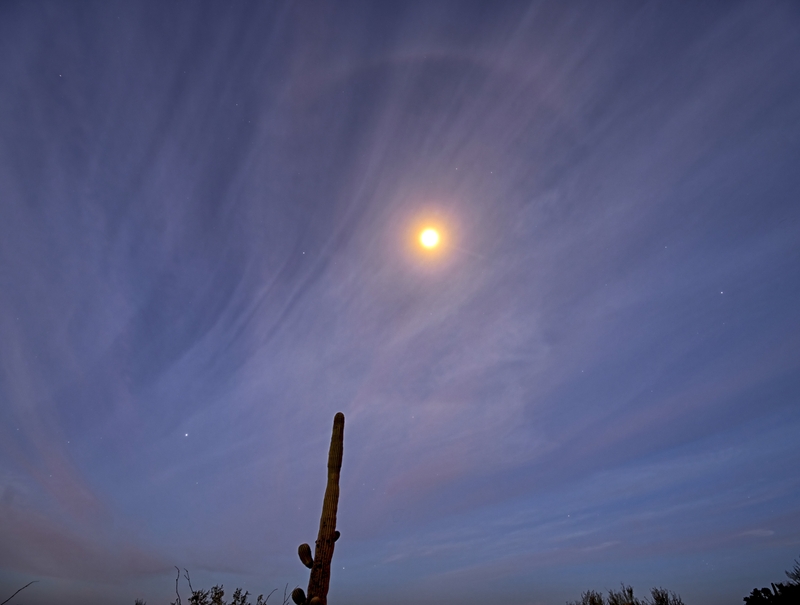 With colder weather and bright Moon lunar halos are a common occurrence in Tucson AZ in Fall and Winter. This halo persisted into the breaking dawn picking up the pink-red color of the clouds that created the halo. It lasted only minutes but it was striking to see. The image was captured with a Nikon D850 and a Nikon 16-35 mm VR lens.